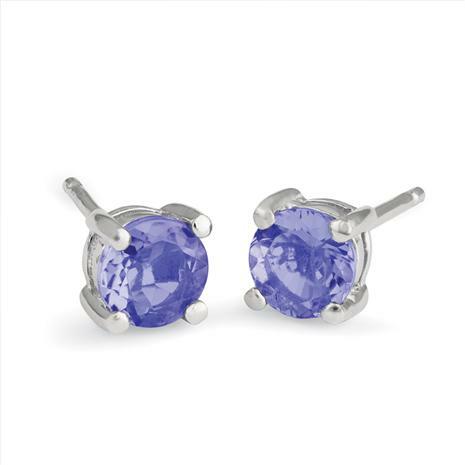 The Tanzanite 5-Stone Anniversary Collection lets her know she was your greatest discovery. Fifty years ago, a new gemstone rarer than diamonds was discovered. It was the most dramatic gemstone find in history. A storm lit up the sky, a powerful lightning bolt struck the ground, the undergrowth was set ablaze, and the violet blue tanzanite beneath the surface was finally revealed by the heat. No second source of tanzanite has even been discovered. If your relationship is one-of-a-kind, lightning bolt stuff, then celebrate your anniversary with something to match. Like your love, tanzanite grows more precious and more valuable over time. As the world’s one-and-only tanzanite supply grows lower, new stones will become more expensive. Lightning struck with tanzanite’s discovery 50 years ago and struck again you when you fell in love. We recommend celebrating your fortune now because lightning rarely strikes a third time.